A mini golden pineapple soaking up the sun's rays. 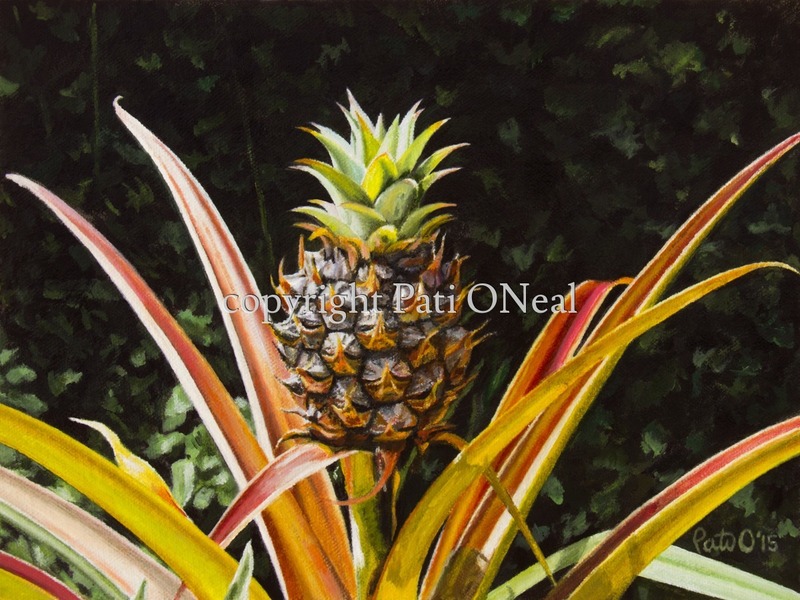 Original painting is currently at Sunshine Arts Gallery in Kahalu'u, O'ahu. Contact the artist for purchase or a similar commission. Open edition giclées and prints are also available.